ClubCoins Nødvendigt: 162 Please note that, for now, you cannot download content from our platform directly onto a mobile device (phone, iPod, iPad, tablets...). You need to download your items onto a PC or Mac, and then transfer them onto your device in the normal way. We are working on allowing direct downloads to mobile devices but this is not possible in the current version of the platform. Sorry about the inconvenience! Youve broken up, done the work, and youre ready to move on to a new relationship. 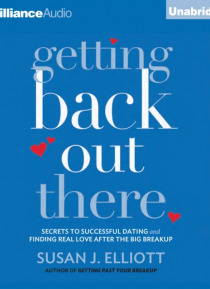 In Getting Back Out There, Susan J. Elliottcreator of the wildly popular blog GettingPastYourBreakup.comguides you through the process of deciding when to date again, first date jitters, the selection (and rejection) of potential partners, and the rewarding experience of making a commitment to the right partner and b… eing equipped for a happy, healthy relationship.With chapters such as "e;The Steps from the Big Breakup to Happy and Healthy Dating, Mating, and Relating,"e; "e;Five Questions to Ask Before You Take the Plunge,"e; and "e;The Five Rs of Dating Failure: Readiness, Rejection, Recycling, Rebounding, Retreating,"e; Getting Back Out There is the go-to guide to help you transition from former failed relationships to a successful new one.